Is my BP range normal for my age? 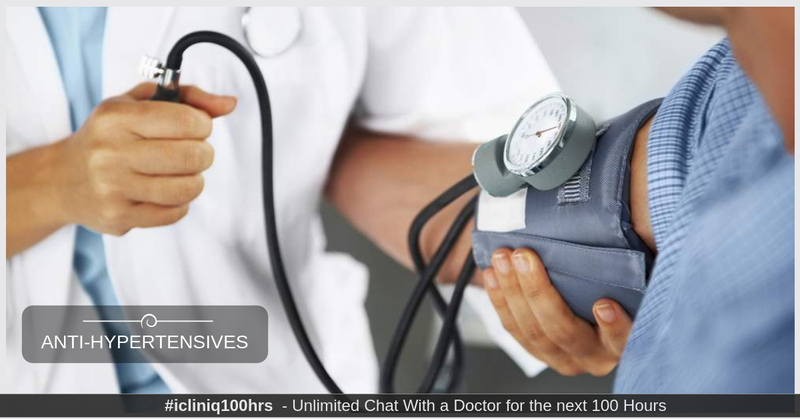 iCliniq › Ask a doctor online › Answers › Internal Medicine › Hypertension › I am on anti-hypertensives. Is my BP normal? Q. I am on anti-hypertensives. Is my BP normal? I am 62 and male. I am on anti-hypertensive medication for years, my current BP is in the range of 140 to 150 (sys)/60 to 70 (dia). Is this BP good enough for my age? Any suggestions, please? • I am on anti-hypertensives. Is my BP normal? • Can hypertension cause dilated cardiomyopathy? Diastolic BP is fine, but systolic is mildly elevated. According to recent evidences and guidelines, lower is better. If BP is persistently elevated above 140, then it is better to add some other medicines to keep it atleast below 140 consistently and preferably below 130 systolic. We are not much concerned about diastolic BP even if goes lower. Since pulse rate is 60, then Concor dose may be increased to 7.5 or 10, but cautiously monitoring pulse rate. Instead better option is to add another medicines like Losartan 25 mg or Chlorthalidone 25 mg. Should also have low salt diet and regular exercises. So, overall, we should target BP a bit lower. I have taken Concor 10 and Losartan but BP did not change much. I was suggested to add Minoxidil 10 mg daily. I tried for two days and BP was down to about 130/60. Is this the effect of Minoxidil? Any comment, please? It is due to Minoxidil. But, it is not a first line agent and usually left as a last choice due to side effects profile. So, initially you may increase Losartan to 50, then to 100 mg once a day. Later, if needed diuretic is added like Hydrochlorthiazide or Chlorthalidone 25 mg then to 50 mg. So, in my opinion, it is better not to go with Minoxidil and try other options. If above drug is not helpful which is unlikely, then next in the line is Prazosin. So, we should follow a step by step approach. Why does my blood pressure remain high even after taking medicines for 10 years? Can BP tablets cause high uric acid level?